The Tribe traveled to State College, Pennsylvania, last weekend to compete in the Rutherford Intercollegiate and wrap up its regular season. Senior David Hicks secured second place overall in the event’s individual rankings with a score of -4 Sunday and two rounds in the 60s for the weekend. The Tribe as a whole finished 10th out of 13 teams, but closed strong Sunday with a collective 293, its best score of the weekend. Hicks fell just one stroke short of the individual champion; Connecticut’s Drake Hull fired a 68 Sunday to claim the crown. Hicks shot below par in each of his rounds, and his 209 (-4) tied the 14th lowest score in a tournament for Tribe men’s golf. In addition to Hicks’ theatrics, which included an eagle and 10 birdies, freshman Matthew Feinstein also broke par on the final day, shooting a 1-under 70 to finish at +11 for the weekend and T-42 overall. Feinstein also earned 39 pars, third most in the event. Sophomore Trevor Hecht and junior Walker Campbell earned three rounds each in the 70s and finished T-59 and T-65, respectively. In addition, sophomore Otto Voettiner recovered from an opening–round 84, posting his best round of the weekend (76) Sunday to finish T-73. The team as a whole improved its combined score each day, finishing with an 892 (+40) over the three days. Penn State took home the team crown, notching an 855 (+3) to edge out Eastern Michigan by two strokes. 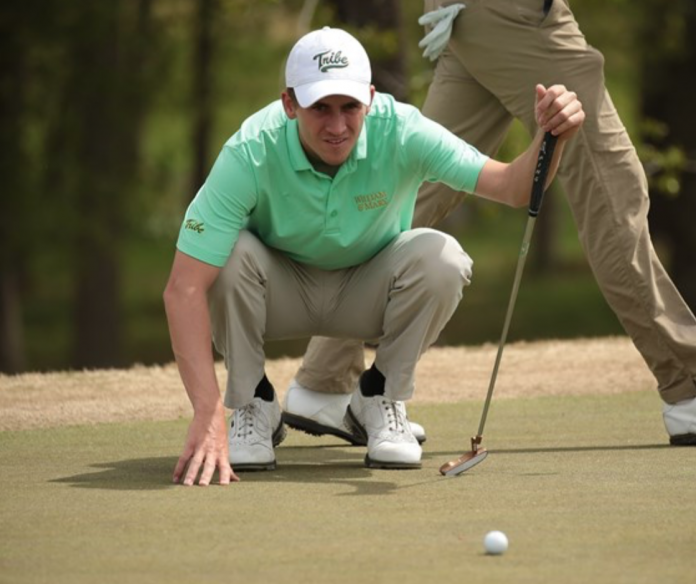 This was the team’s final tournament before the Colonial Athletic Association Men’s Golf Championship, which takes place at Pinehurst Resort in North Carolina from April 19 to April 21.